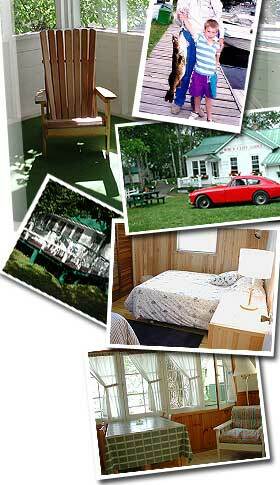 Birch Cliff Lodge on Baptiste Lake, one of Ontario's most picturesque cottage resorts since 1931. 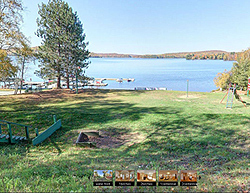 Birch Cliff Lodge, situated on 15 acres on the shore of Baptiste Lake, is 10 kilometers by car to the village of Bancroft and 16 kilometers by boat to Algonguin Park. Enjoy wonderful swimming at our clear, sandy beach or tour beautiful Baptiste Lake in our rental boats. In the evening, glorious sunsets and evening campfires create lasting memories. An ideal destination for a family vacation, Birch Cliff offers cottage accommodation of various sizes – each cottage freshly decorated and updated with screened porches and some with fireplaces. Retaining its 1930’s character, Birch Cliff Lodge is a unique venue for weddings, conferences or retreats and offers spring and fall discounts.